EAST RUTHERFORD, N.J. – The New York Jets had very high hopes coming into this season, but have seen those hopes quickly dashed over the past couple weeks. Before their Monday Night Football match-up, the Jets were on a three game losing streak and held a dismal 3-8 record. New York has struggled on many facets of the game, and Monday night’s contest against the Indianapolis Colts was no different. Indianapolis looked like a team that was still in the playoff hunt, and the Jets looked like they couldn’t wait for the season to be over. 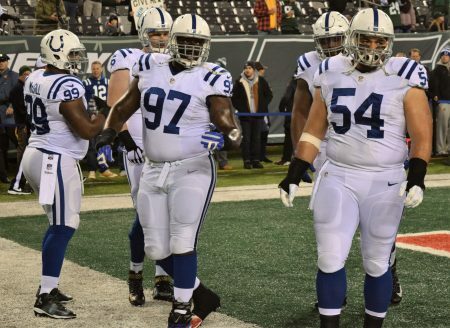 The Colts simply showed much more heart and desire, which amounted to a 41-10 whooping of the Jets. This was a demoralizing defeat for Gang Green, that makes you question the fortitude within those players in the New York locker room. (Photo Credit: Barry Holmes) Luck was phenomenal against the Jets Monday night. Andrew Luck was brilliant all night long, and got whatever he wanted against the New York defense. Luck completed 22 of 28 passes for 278 yards and four touchdowns. Three of those touchdowns were thrown to tight end Dwayne Allen. T.Y. Hilton was Luck’s favorite target on the night. Hilton tallied nine receptions for 146 yards, and continuously beat whoever was covering him. The Jets offense struggled to run or throw the ball. The offensive line did not do a good job of winning the push upfront, and opening holes for runners. Matt Forte was held to just 25 yards rushing on nine attempts. As a team, the Jets only accounted for 36 total rushing yards. As far as passing the ball, Ryan Fitzpatrick was not sharp to say the least. Fitzpatrick only completed five out of 12 passes for 81 yards and an interception. Bryce Petty came in to replace Fitzpatrick in the third quarter, and did not play that much better. Petty did however throw a touchdown pass to Robbie Anderson for Gang Green’s only touchdown on the night. The second year quarterback completed 11 out of 25 passes for 135 yards, one touchdown and two interceptions. 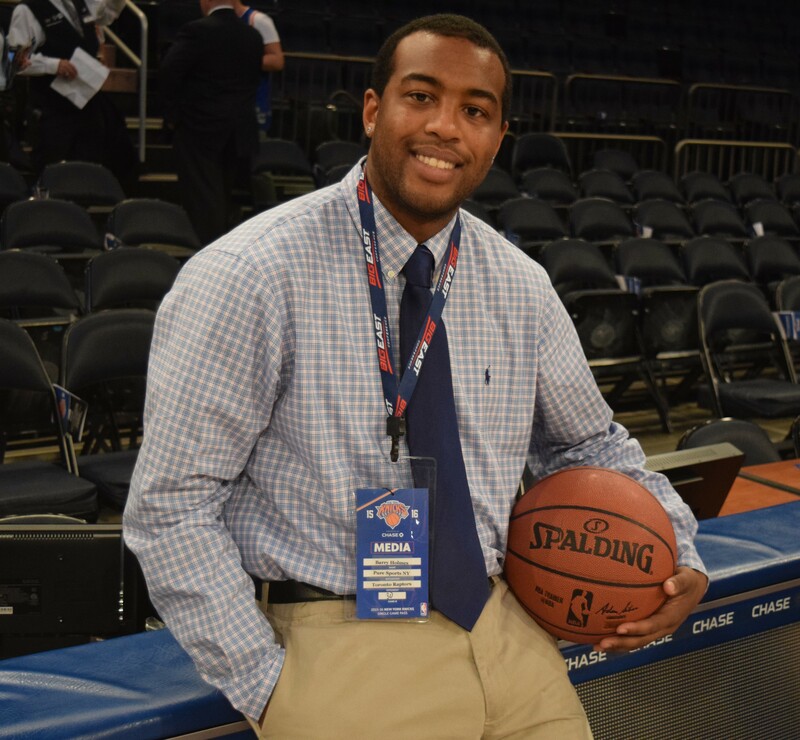 (Photo Credit: Barry Holmes) Anderson was one of the few bright spots for New York on Monday night. You can’t win games if you can’t keep the chains moving. This is a lack of discipline that simply can not happen. New York gave the Colts four first downs off of penalties. The now (3-9) Jets, will head out west next week to face the struggling San Francisco 49ers. With speculation over Coach Todd Bowles’ job security, this game could potentially be a must-win for Bowles to keep his job for next season.